One of the most time-consuming challenges carriers face when recruiting new drivers is simply sorting through all the applications submitted each day. Having a large number of applicants is, of course, a good problem to have, but finding a way to quickly determine which applications are most promising can be a significant task. This challenge is compounded by the fact that the candidates who are the best fit for you can change depending on the position you’re recruiting for. Determining the best candidate for any given job can be pared down to meeting certain requirements. Criteria such as minimum experience, safety records, and various other qualifications are often used to determine a driver’s eligibility, but while these are very helpful in figuring out who exactly you’re looking to hire (or, maybe more accurately, who you’re not looking to hire), they don’t tell you much about which drivers are most likely to be interested in you as a carrier. When it comes to recruiting effectively, it is vital for a carrier to be able to determine which leads are most likely to be interested in pursuing positions with your company. If you have a good idea of what different candidates in your recruitment pool are looking for in a job, you can more effectively target the candidates who will be most interested in a particular job when a new opening becomes available. Using this targeted approach allows you to save both time and resources, as well as avoid spamming your entire candidate pool with communication that might not be relevant to them. So how do you go about finding out what your candidates are looking for in a job and a carrier? To a certain extent, this type of information can be gathered from company-specific questions you might include in your applications, or collected through IntelliApp or some other lead-acquisition method. The driver ends up having to fill out these same tedious questions every time he or she applies to a new carrier, and the information the carrier has for each driver is only as current as the candidate’s last application with your business. Unfortunately, the type of job a driver is looking for can change quickly, and because you probably have more than one type of job you’re looking to fill at any one time, you need to stay on top of what your candidates are looking for so you can send them the most relevant jobs for their current needs. To solve this problem, Tenstreet is introducing Pulse Profiles. Pulse Profiles track specific drivers’ interests in different types of jobs by occasionally asking each driver to describe what type of position they are looking for. 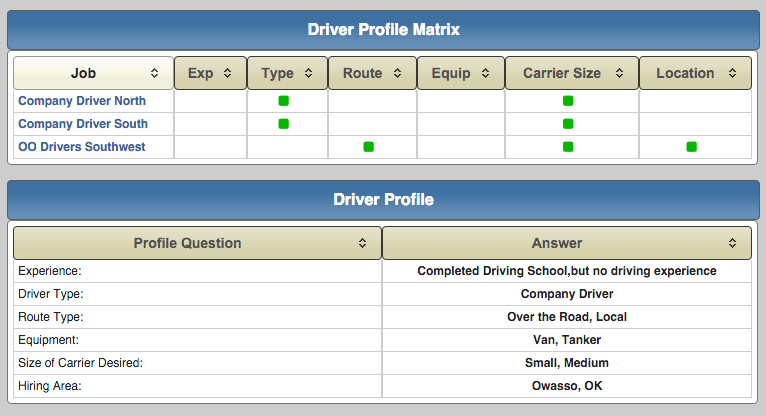 The driver profiles and their answers are then visible to all carriers where these drivers apply. Pulse Profiles save drivers time and energy by allowing them to avoid filling out those same questions over and over again each time they send in an application to a carrier. On the recruiter’s end, the system will include a profile view icon next to the Pulse icon whenever a driver has a Pulse Profile, to signal to the recruiter that a profile is available to view. The driver profiles allow them to gain valuable insight into their candidates, even when a candidate may only be in the lead stage and has not filled out a complete application. 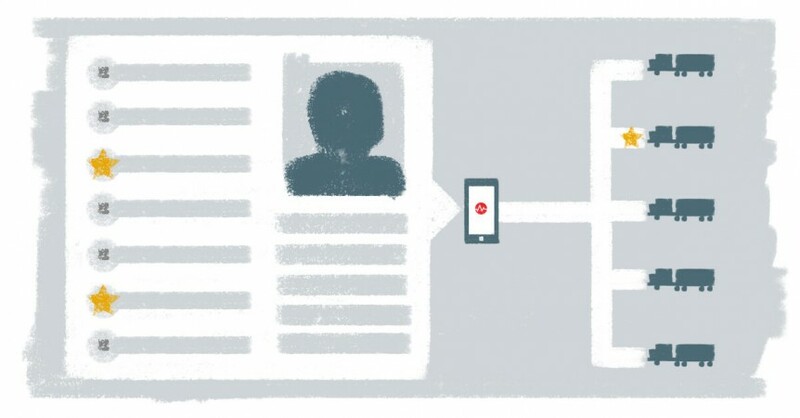 In the near future, carriers will be able to upload their jobs to the Pulse system and search for potential candidates; Pulse will match drivers by what the drivers are looking for, and what the carrier has available that matches those interests. This is probably one of the most unique features of Pulse Profiles, and the ability to automatically find interested candidates for each job will save your recruiters significant time and effort, and is something your company would be unable to accomplish using traditional questionnaires. This functionality will roll out 1/25/2016, and will be available to all current and new Pulse users. So be sure to encourage all of your drivers and candidates to complete their profiles so they can take advantage of these new features, and make communication between drivers and carriers hassle-free!